We aim to educate families on birthing options and postpartum support so that they can step confidently into parenthood. Then, we strive to address the intangible stumbling blocks of raising kids in an urban environment. Authentic community support, reliable in-a-pinch caregiving options, access to vetted resources and a safe, clean space for play are all crucial to supporting parents. In this way, we provide a structure and support system for parenthood that starts at the beginning when parents need it most. By building a small, connected village, we can lighten the load. Ultimately, our vision is that every community has a Recess Collective space to come together to share resources and live playful, healthy lives. We hope to create a prototype that is replicable in neighborhoods throughout San Francisco and far beyond. 1. Equip parents and families with the knowledge, skills and practices they need give their children the best start in life. Few parents feel prepared for parenthood. While the first three years are a critical period for child development, it’s also when parents are feeling the most uncertain and are in need of support--whether it’s help with sleep, nutrition, behavior, health or learning milestones. 2. Support those who care for young children. Build a better ecosystem of reliable, quality care during the earliest years, regardless of whether children are in the care of parents, relatives, neighbors, or caregivers. As a child grows into the world, the safety and accessibility of their physical environment plays a role in healthy brain development and growth. 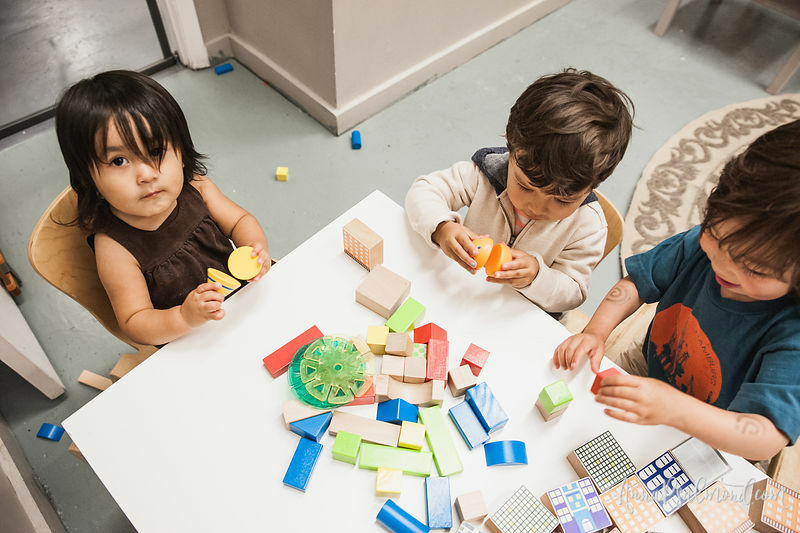 Research shows that safe, responsive and nurturing environments are a crucial part of supporting the learning and development of children ages 0-3. Provide space for families with young children to gather, receive support and combat isolation by creating community groups, social interaction through new parent groups, support for postpartum depression, etc. Partner with other community organizations to provide vetted experts to parents, work with seniors to build multi-generational volunteer opportunities, and leverage collaboration to build a true web of support amongst families. Create space for families with children regardless of ability. Families with children with disabilities need play, too. Raise funds to create new spaces to bring this community hub to more neighborhoods.